Hello! Happy Good Friday to you! My twins had their Easter egg hunt at school today and learned the Bible verse, "He is risen!" Matthew 28:6. There is something so sweet and wonderful knowing that they are learning early about Jesus and the love He has for them. Unfortunately, we don't get today off because we have to make up a snow day, but hopefully, we will make it to the service this evening. Well, it's that time of the week again. What have we been up to? 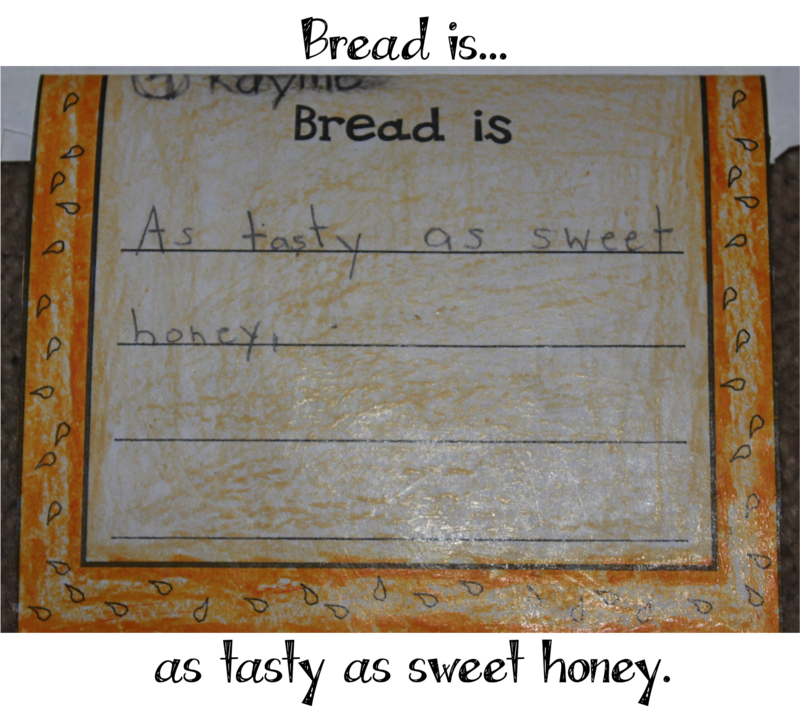 I love that Kacey over at Doodlebugs links us all up at the end of our weeks to find out! 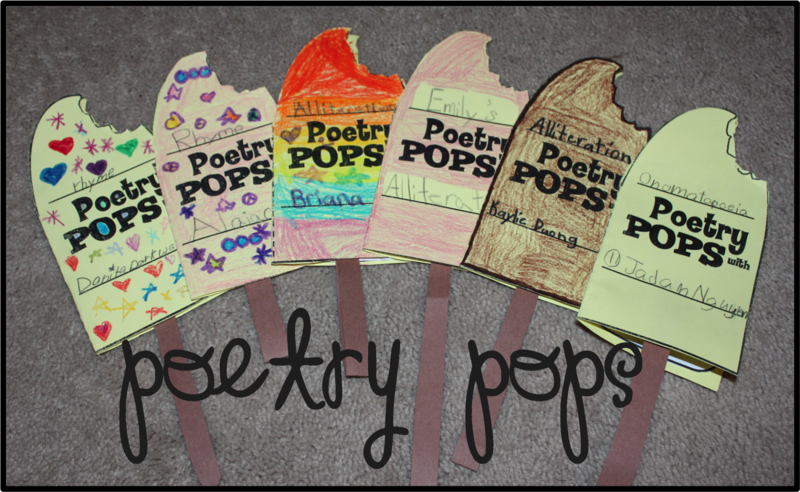 We continued our study on poetry this week in ELA by focusing on alliteration, similes and onomatopoeia. 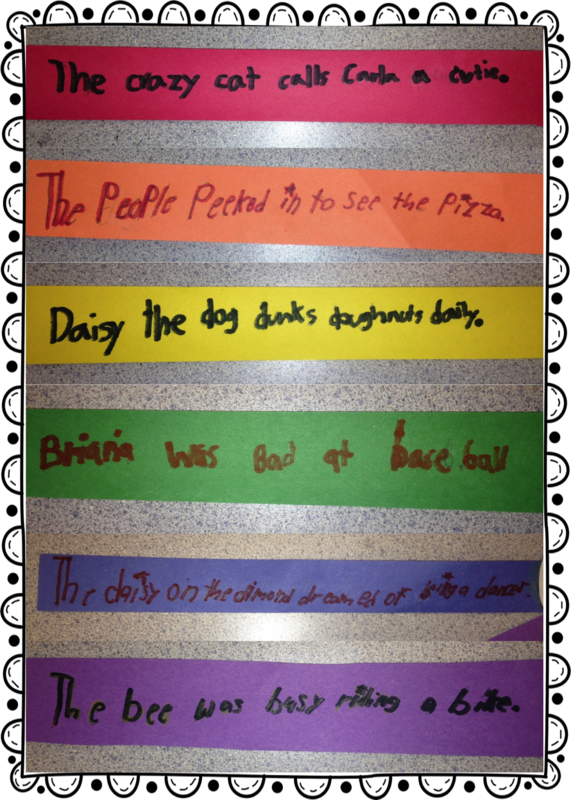 We had the most FUN craftivities to use from a unit called Poetry Pizzazz from the Teacher's Clubhouse! 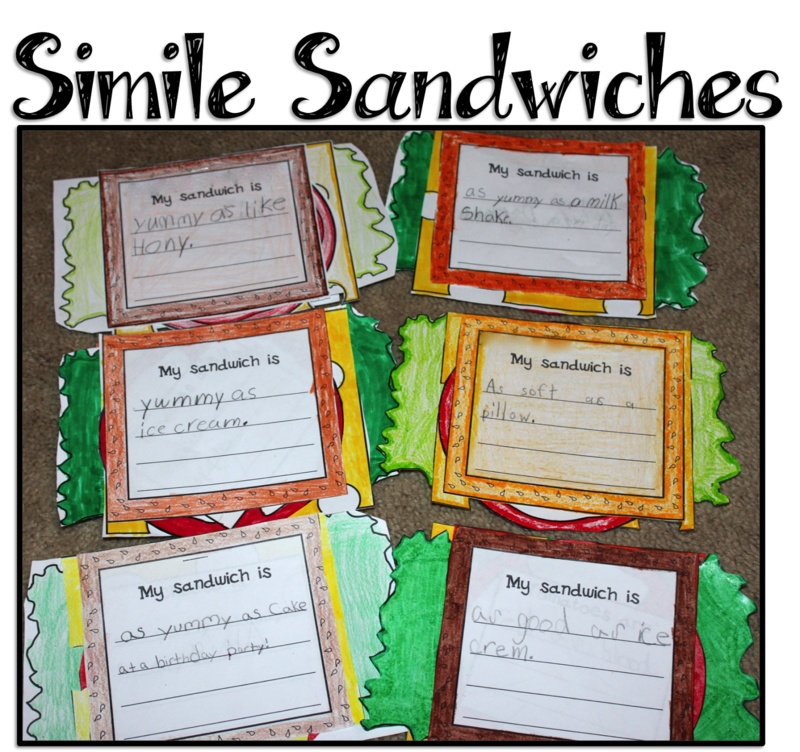 We used the Simile Sandwiches, Alliterainbows and Poetry Pops craftivities. 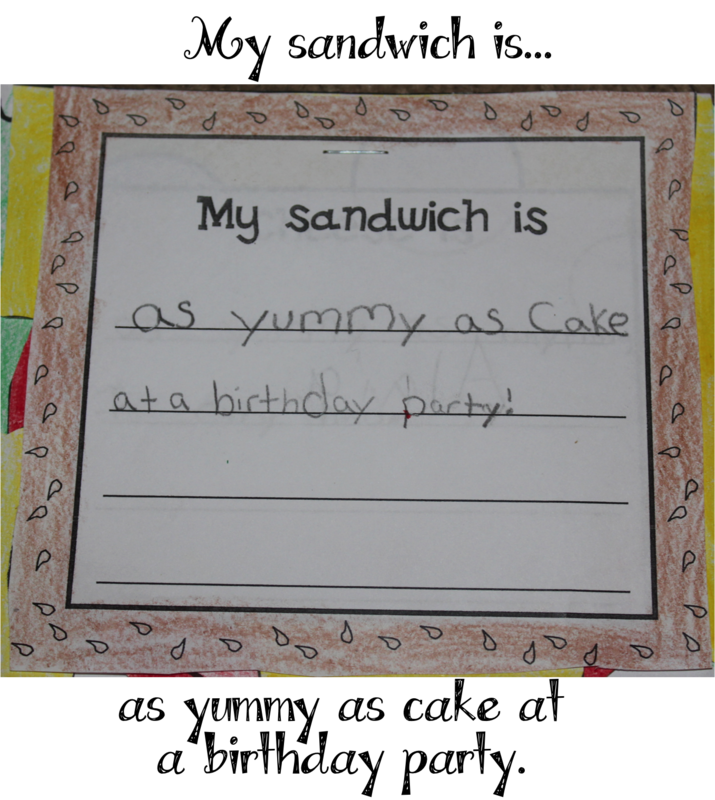 I also used "My Spectacular Onomatopoeia Book" from Mrs. Mabe. We spent more time on graphs this week also. 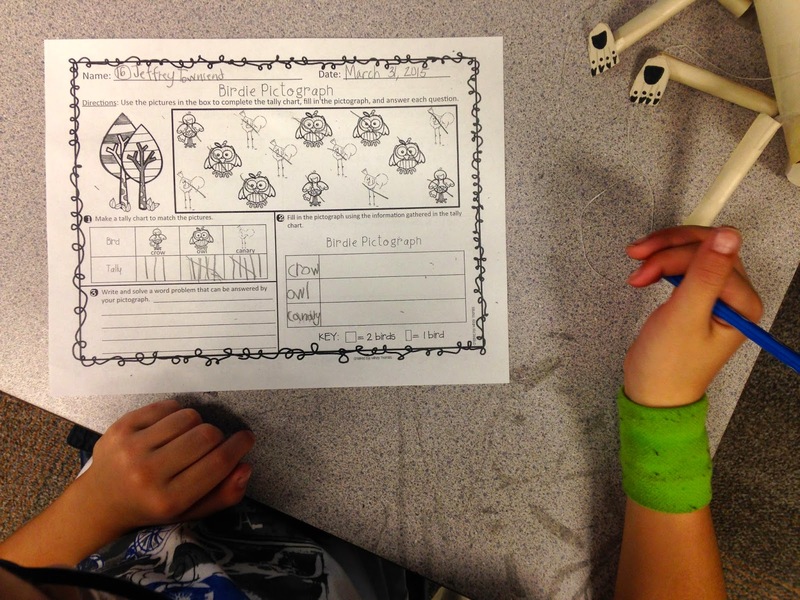 We worked on pictographs. 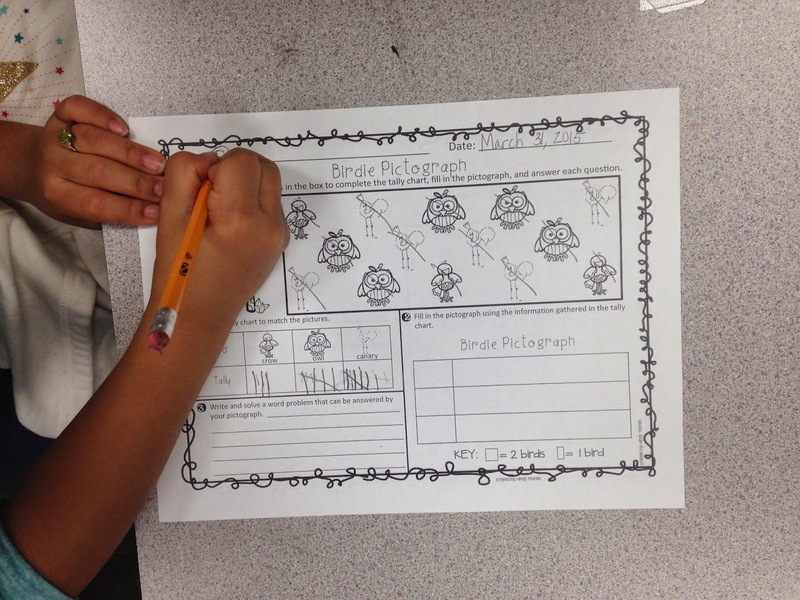 After having spent a whole week on bar graphs, pictographs were a breeze to them. We had the same objectives as we did with bar graphs - explain how the amount of pictures relate to the data, answer questions based on the graph, and write solve our own word problems about our pictographs. We used more activities from my NO PREP! Graphs unit. based on the number of each kind of bird in the box. pictograph by labeling the categories. 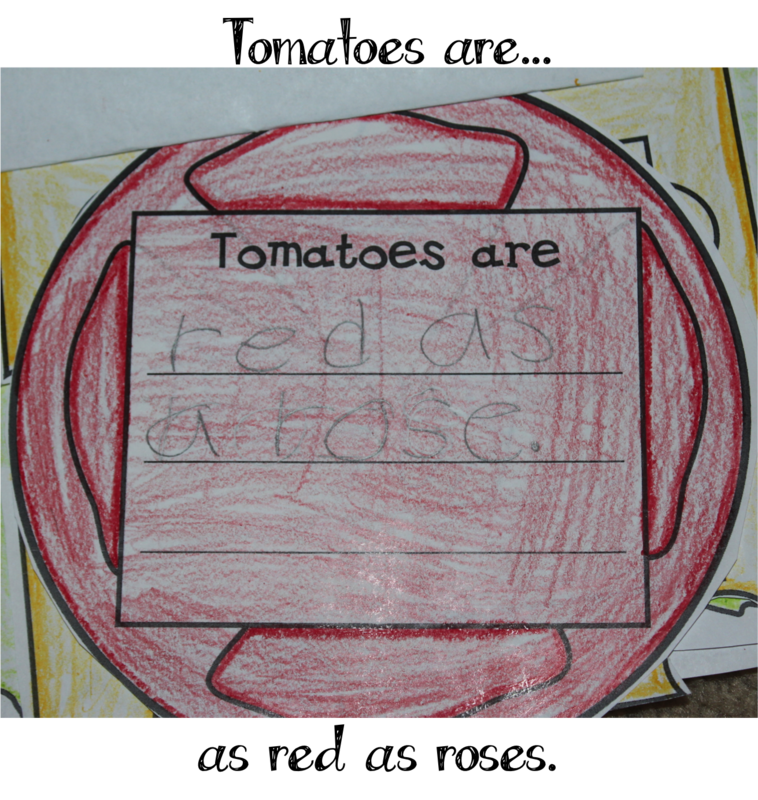 I was SO proud of them being able to create their own questions! 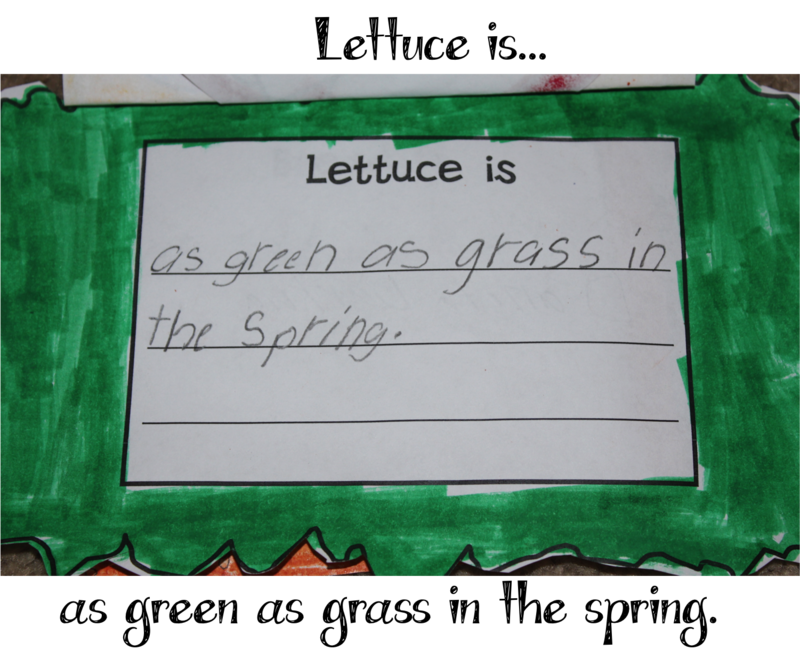 If you have ever tried to get 2nd graders to create a word problem, you understand how hard this skill is for them! "How many more canaries were there than crows? 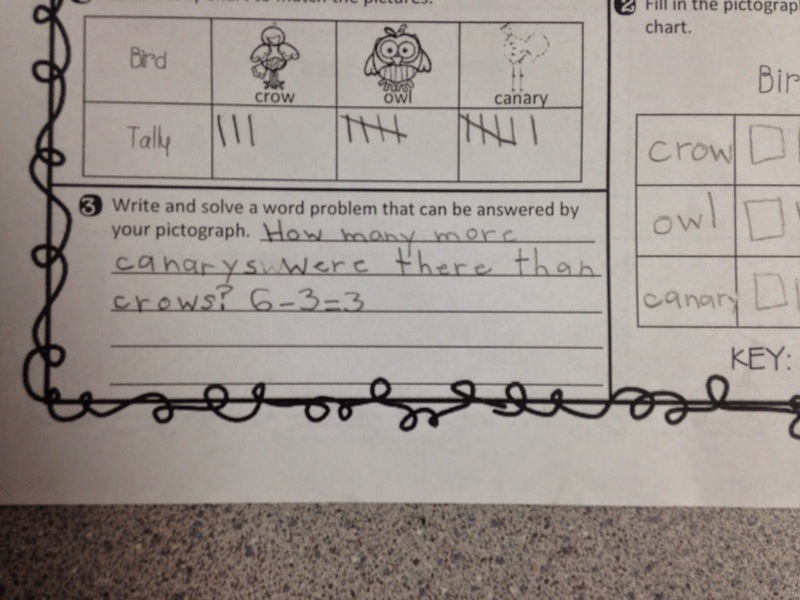 6 - 3 = 3"
"How many more owls than crows? 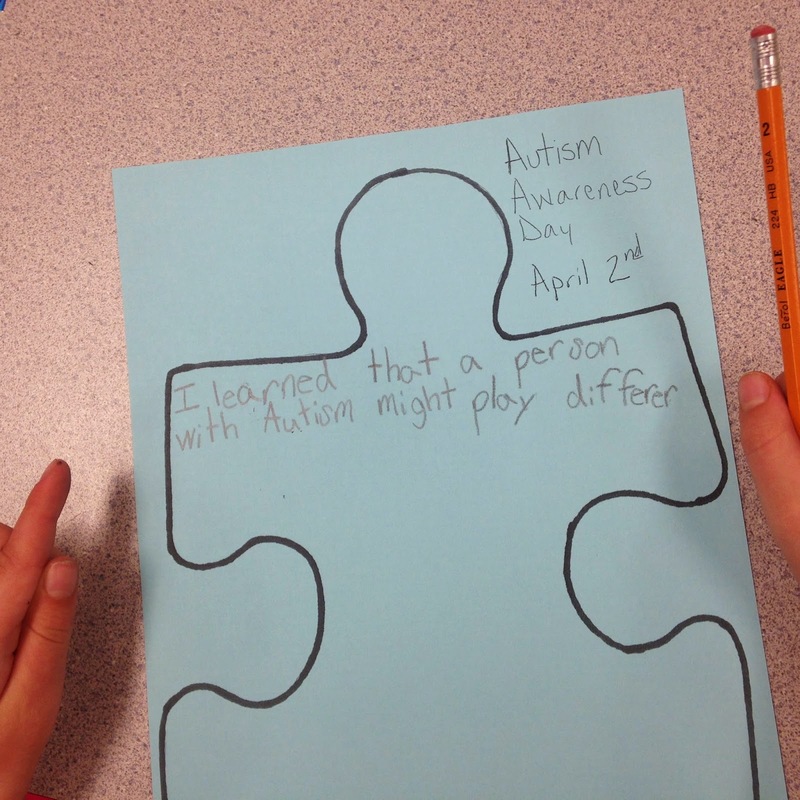 5 - 3 = 2"
We focused a lot on learning about autism. 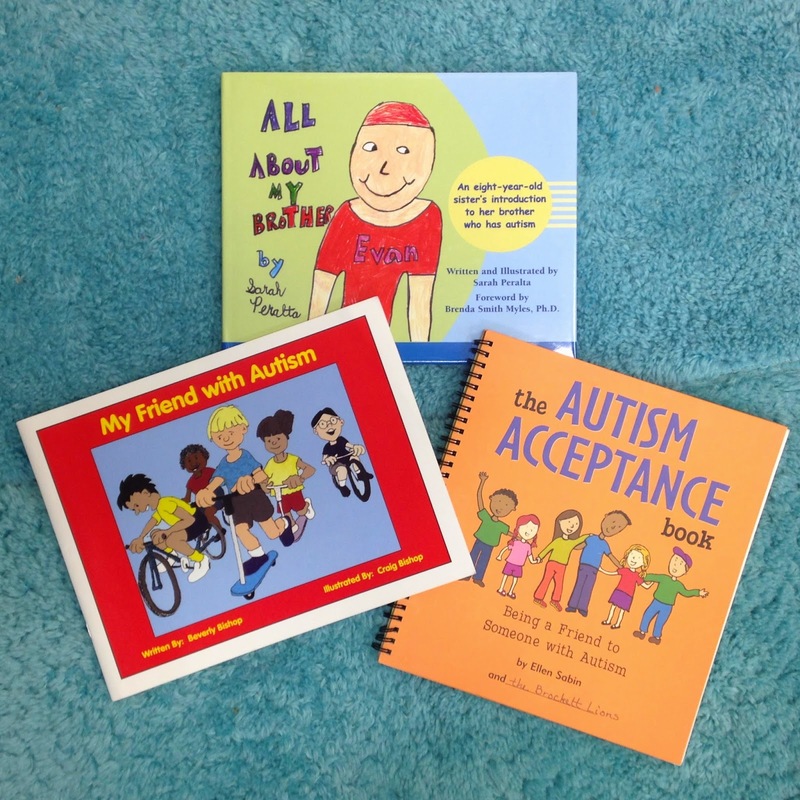 My kids didn't know what autism was exactly, so I spent some time reading books to them that do a nice job of putting it in terms kids can relate to. We also watched an awesome documentary from the BBC that was made by a girl with autism who explains what it is like, to her, to have autism. It is animated at parts to show the children a picture of her world, how she sees life, and how she relates to others around her. You can click below to watch it or show it to YOUR class! 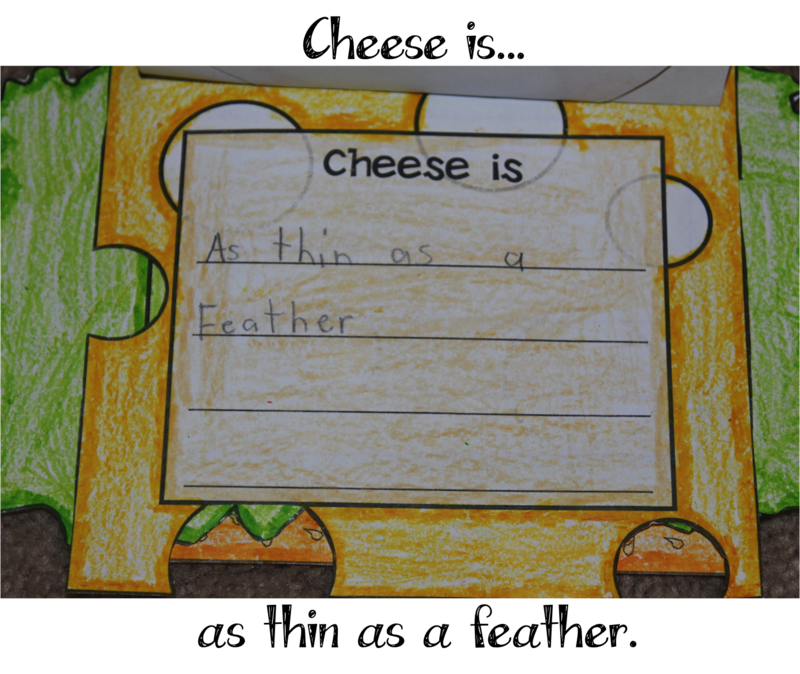 I made a puzzle piece by pulling one up on Google Images and then tracing it onto a piece of paper I held up to my smart board. (SUCH a good trick - if you've never done it, you've been missing out!) Then I just copied it onto blue paper for everyone. 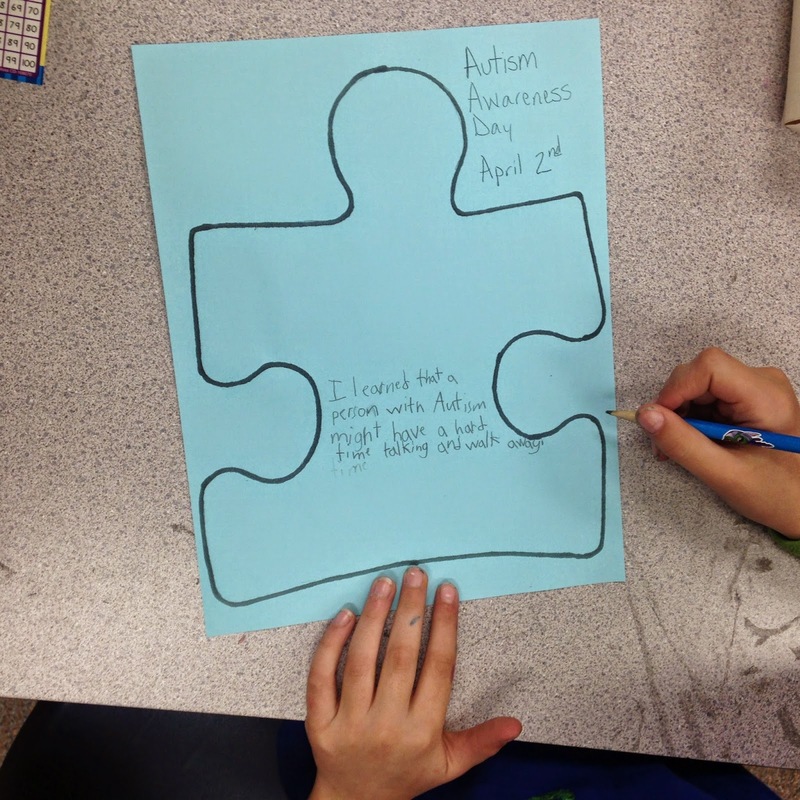 After we learned all about autism, the kids each wrote a statement about something he or she learned about autism on the blue puzzle piece. We hung them in the hallway to give our hallway a dash of blue! "I learned that a person with autism might play differently." "I learned that a person with autism might have a hard time talking and walk away." (Meaning when they can't find the words they want to use, they may give up and not continue that thought with you). "I learned that a person with autism might flap hands, hum, or be really interested in one thing." Here's all of our puzzle pieces in the hallway! 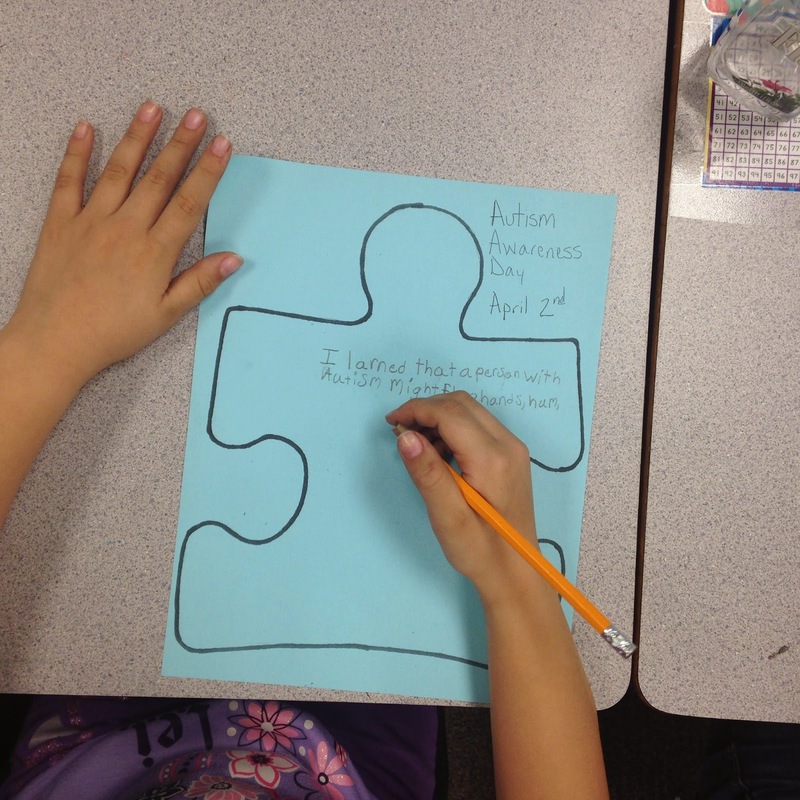 Each second grader on our campus did this activity and I felt so proud that they were all so interested in learning about autism. Hopefully it will help them to be more understanding of each other and of people who are different than they are. They were so curious and had some wonderful questions. We had such good conversation! That wraps up my week! 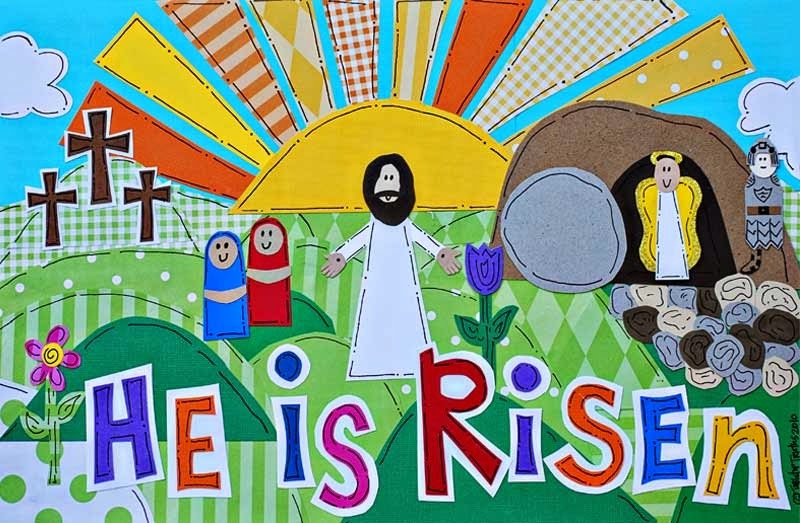 I am looking forward to this weekend and celebrating Easter with my family on Sunday! 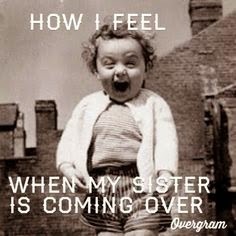 My sister and her family will be coming to our house and I am so excited to see them! Thanks for taking time to look at my little blog! I would love to hear from you with ideas, questions or comments! Have a WONDERFUL weekend! Hi Mindy! I'm Jessica from rowintolearning.blogspot.com. 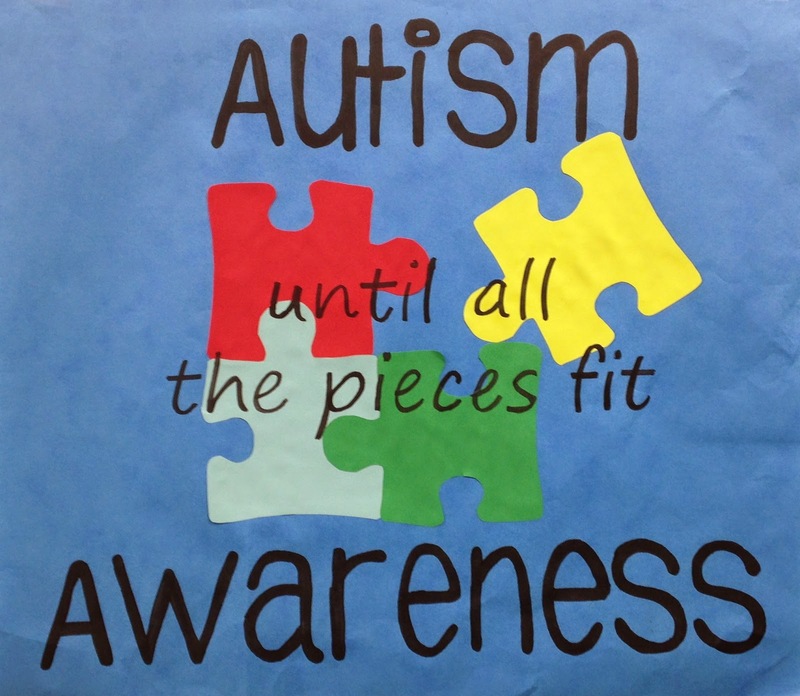 I stumbled upon your blog through the TPT forums and I love this post and the display on Autism Awareness that your kids made! I'm new to blogging and TPT as well and I wanted to nominate you for the Liebster Award given to new bloggers! Looking forward to your next post! !